If you are having trouble getting an answer to your symptoms, or are finding that your treatment isn't working the way it should, you may wonder if it's possible you have been misdiagnosed or whether your diagnosis is being missed altogether. 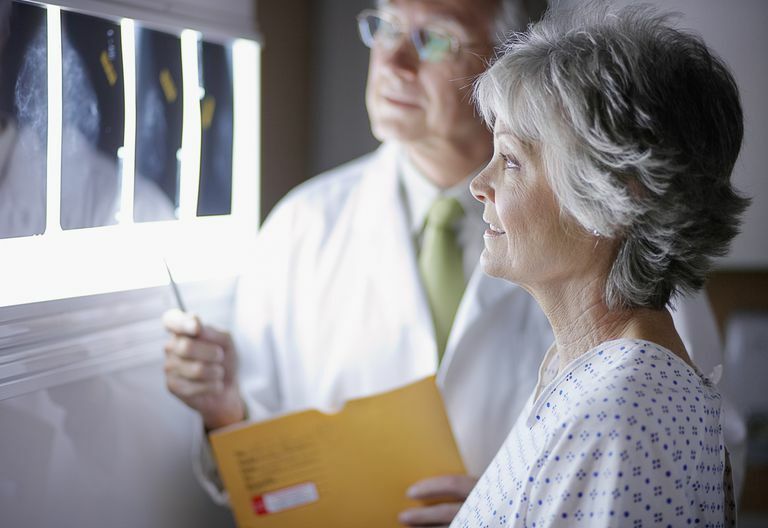 Misdiagnosis and missed diagnoses may be more common than you might realize. A misdiagnosis describes a situation when your doctor tells you that you have some illness or condition, but it's incorrect. For example, a doctor might diagnose the flu, but the patient really has Lyme disease. A missed diagnosis describes the lack of a diagnosis, usually leading to no or inaccurate treatment. An example would be when a woman is told the small lump in her breast is benign, only to learn later that it is, in fact malignant. Or a too-common missed diagnosis is the experience of a woman who is sent to a gastroenterologist for stomach symptoms, but her real problem is ovarian cancer, which requires a gynecologist. In some cases, it makes no difference that a patient's diagnosis is incorrect, because the medical problem will run its course, probably heal, and the fact that it was a misdiagnosis or missed diagnosis will be a moot point. In other cases, the diagnosis is so different from the reality of the person's medical problem that the resulting wrong treatment, or missed treatment, can cause death or debilitation. The actual percentages of mis- and missed diagnoses vs correct, accurate diagnoses, are difficult to determine, although experts put the rate at around 40%. Missed and misdiagnoses are rarely reported because there is no real mechanism for reporting them. If the patient dies, the family may request an autopsy, but autopsies are expensive and unless the information can be put to good use, they won't be recommended by the professionals. Further, if the professionals involved realize there may have been a misdiagnosis it would be highly unlikely they would consider making that recommendation. Even if we don't know the actual statistics, a rate of 40% is remarkable and frightening. Think about it this way: Of your last 10 doctor visits that resulted in a diagnosis, no matter what that diagnosis, it's possible that four of them were wrong. Or think about it another way: Within your workplace, or neighborhood, or a club or group you belong to, of 10 of your friends who were diagnosed with something—anything—four of them were given the wrong answer about their symptoms. Missed and misdiagnoses can happen to anyone—and they do. The well-known and respected Dr. Jerome Groopman wrote his book, How Doctors Think, after being misdiagnosed many times. Fran Drescher, known as TV's The Nanny, and Padma Lakshmi, the host of the TV show Top Chef, were both misdiagnosed over and over again before finally learning what their medical problems were and what treatment would actually work. They were among the lucky ones because eventually, they did get the right diagnosis. If you continue to experience symptoms even though you are being treated for a medical problem, or if you have a hunch your diagnosis is not correct, you owe it to yourself to explore alternatives for figuring out what might be your real diagnosis. Begin by using the system doctors use, called differential diagnosis. Then ask your primary care doctor to refer you to whatever specialist might take care of the body system or disease state that your differential diagnosis process would suggest. Missed and misdiagnoses are common enough that they may be the reason you can't get the answers or treatment you need. You owe it to yourself to look at other options.